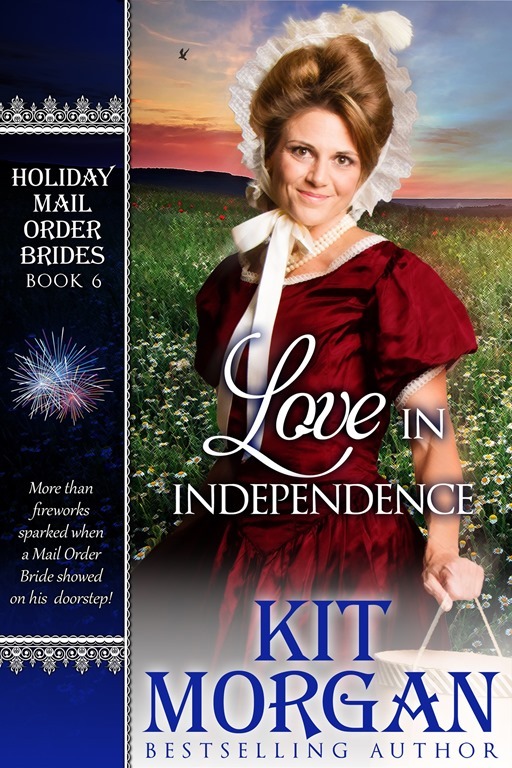 My guest today is best selling author of sweet historical romance Kit Morgan. About the author: A consistent Top 100 lists bestseller, Kit Morgan, aka Geralyn Beauchamp, has been writing for fun all of her life. 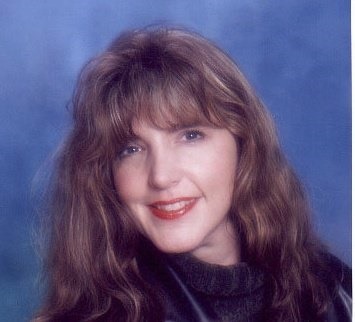 When writing as Geralyn Beauchamp, her books are epic, adventurous, romantic fantasy at its best. 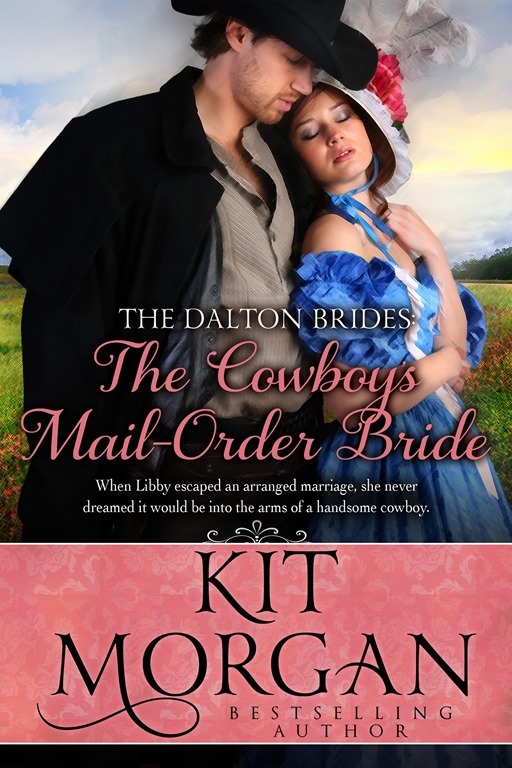 When writing as Kit Morgan they are whimsical, fun, inspirational sweet stories that depict a strong sense of family and community. Welcome Kit! Let’s begin with you describing your favorite place to write. I live in a log cabin on twenty acres with a creek. I like writing on a bench down by the creek. I also have chairs set up around the property where I can go sit and write. I use voice recognition software a lot, and many times just walk the property while I write. Do you ever wear your PJs or nightgown all day while writing? LOL There’s always a first time. I don’t suppose you ever write naked either, right? So I hear. Getting serious, have you ever written a book together with another author? Yes, kinda sort of. 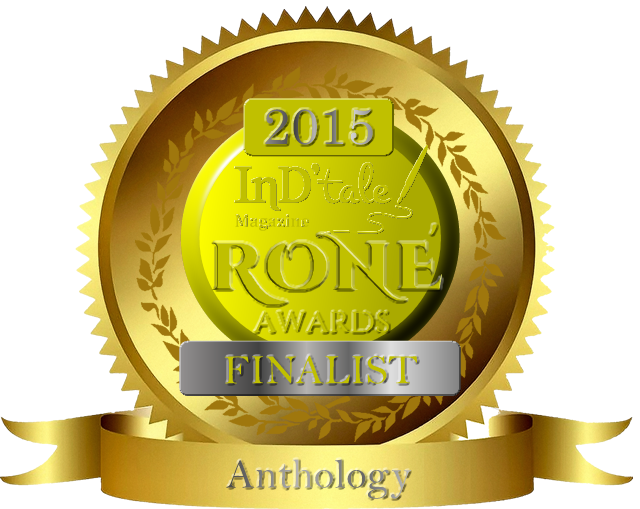 Cassie Hayes, Kirsten Osbourne and I wrote a trilogy of sorts. We each took one of three identical triplet brothers, and wrote their story which was taking place at the same time the other brother’s stories are taking place. Was quite the chore coordinating scenes with each other and having that particular scene be told from our character’s viewpoint. That does sound challenging. What project(s) are you working on now? 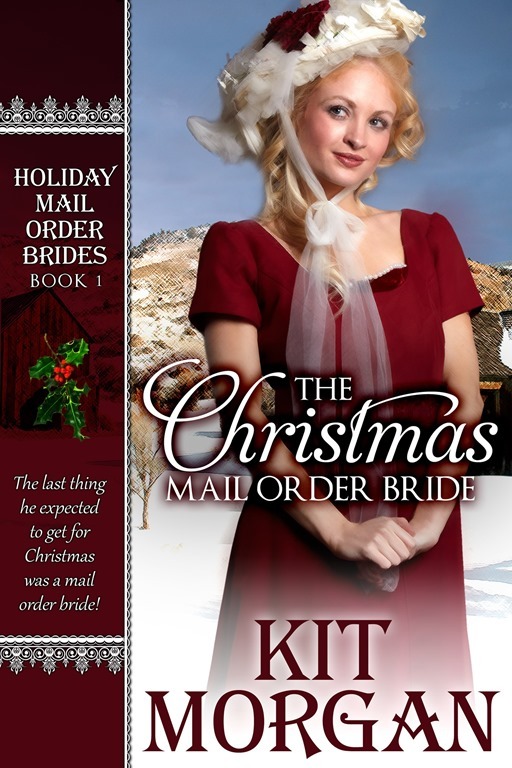 Book 11 of my Holiday Mail Order Bride Series (book one is The Christmas Mail Order Bride and is a freebie on amazon if one hasn’t discovered the series yet), and another trilogy book. A freebie, oh goodie! Mind telling us how you unwind and relax when not writing? Ironically by reading! I’ve also gotten into listening to audio books lately which are a lot of fun! I’m a hiker, and love a good trail! Also a flute player (I was an opera major with a flute minor in college) and of course biking! Opera, wow! You are very versatile! Back to writing, are you a plotter or a pantser? Why? Definite panster! Though I might have a slim outline just so I know kinda sort what direction I’m going, it often still takes a turn and I’m writing wildly along! But the story always turns out great! They say love covers a multitude of sins, and for matchmakers Mercy, Martha, and Maude, it’s a good thing! Fearing the town’s new pastor is lonely, they decide to take matters into their own hands, and order him a mail order bride! Imagine his surprise when he finds out? Only he doesn’t! Mercy, Martha, and Maude see to that! “More tea, Mrs. Vander?” Betsy the cook/maid asked. “Why, thank you, Betsy. Don’t mind if I do.” Betsy poured her another cup before she moved on to the guests. “I think we should write the young lady back and accept,” suggested Martha. “No, ma’am.” Betsy set down the teapot and went to a small desk near the fireplace. She took out a piece of stationery, picked up a pen, dipped it in an inkpot, and turned to her employer. Betsy fought the urge to roll her eyes. “She’s going to make him happy, and what woman wants to marry a grump?” added Maude. Betsy sat and stared at the three, her mind racing to decipher who the women were talking about. If she were a man, she’d think twice before letting a group of old biddies attend to something as private as his personal love life. 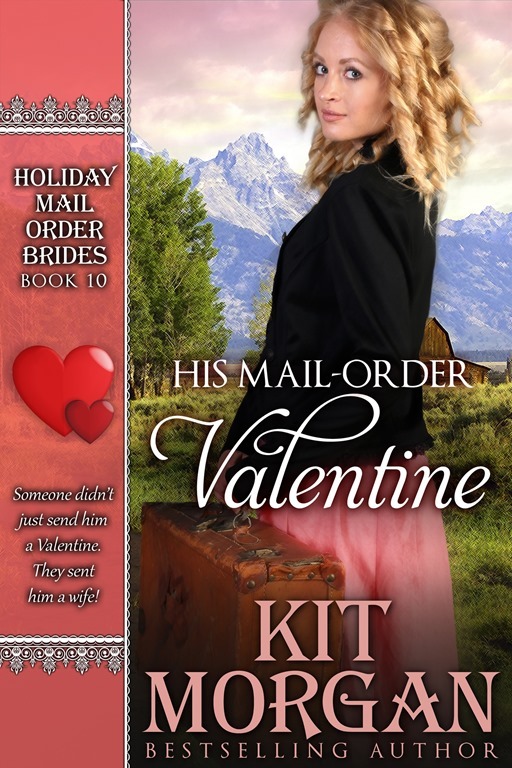 What idiot let himself get talked into allowing them the task of obtaining a mail-order bride? “Yes, ma’am.” Betsy scribbled it down. Betsy shook with suppressed laughter. The poor sap they’d suckered was even letting them answer his bride’s letter for him? Was he off his rocker? Who was this man? Betsy’s mouth dropped open as her eyebrows rose in amusement. Was she saying what she thought she was saying? “Pastor Luke has a lot on his plate – we have to be considerate of that,” added Maude. Betsy snorted with laughter and almost fell out of her chair. All three heads turned to her as she quickly righted herself and resumed her position. “Trivial? A bride is trivial? !” Betsy gasped. “I must say, Mercy, your hired help’s respect is sadly lacking,” huffed Maude. “They aren’t going to find out, are they?” Maude said with her eyes narrowed to slits. “Then we’ll just have to make sure one of us is there to meet her so that doesn’t happen,” said Martha. Find a complete list of Kit’s books on her website, as well as links to her Facebook page and twitter. You can also sign up for her newsletter and link to her alter ego, Geralyn Beauchamp’s website. Thanks for stopping by, Eileen. Glad you enjoyed meeting Kit. Yes, we did get a little silly. Laughter is good for us! Thanks for letting me get to know Kit Morgan. ‘Twas a funny interview!